Our goal will be to continue bringing awareness all year long, not just in October. I want that newly diagnosed patient to know she can make it. Thelma Gant is a clinic coordinator with University Neurosurgery at Rush. 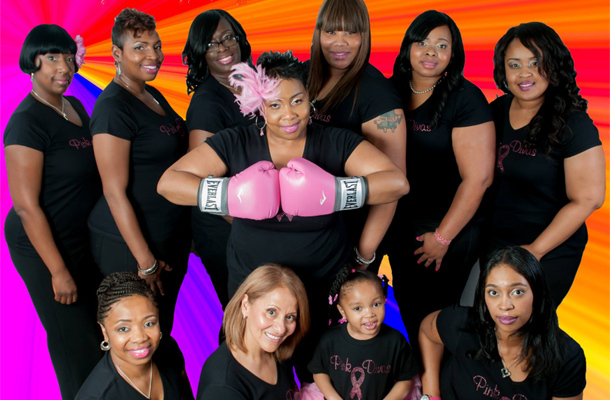 Pink Divas Pink Project will walk in the American Cancer Society’s Making Strides Against Breast Cancer event on Oct. 26 at Soldier Field. This entry was posted in Cancer, Uncategorized and tagged breast cancer. Bookmark the permalink. Thank you for spreading the word and taking time to educate! You truly are a Diva! !